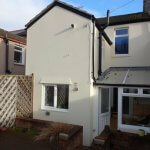 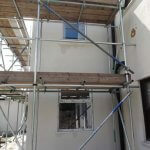 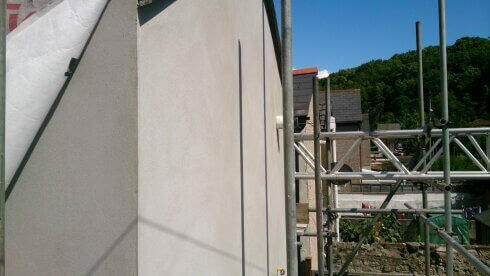 External rendering is the process of applying a smooth or textured external finish to outside walls. 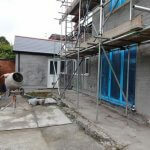 There are many different types of finishes that you can choose from and we are on hand to discuss which finish we think will best suit your property. 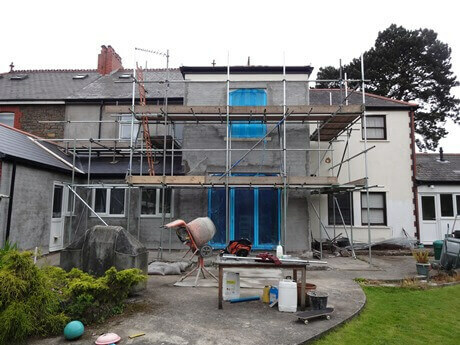 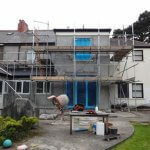 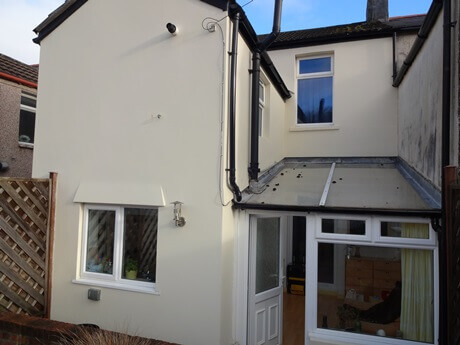 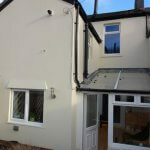 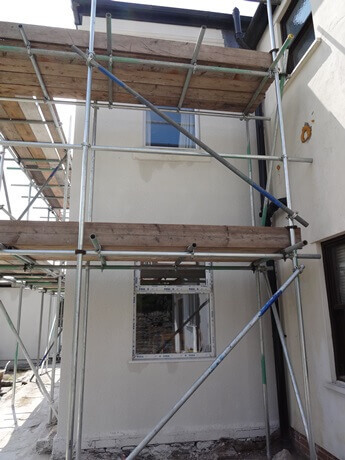 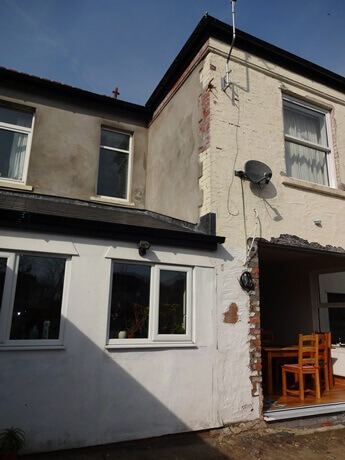 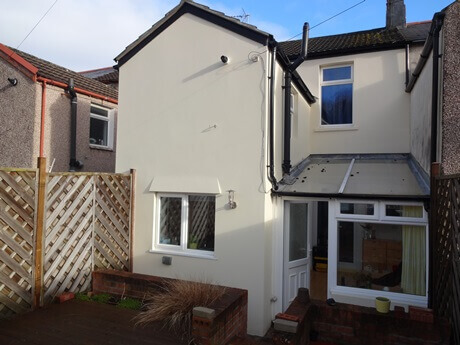 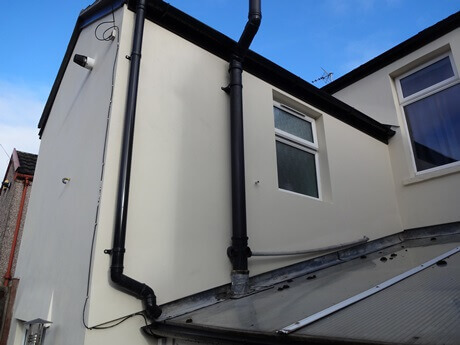 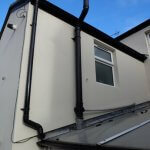 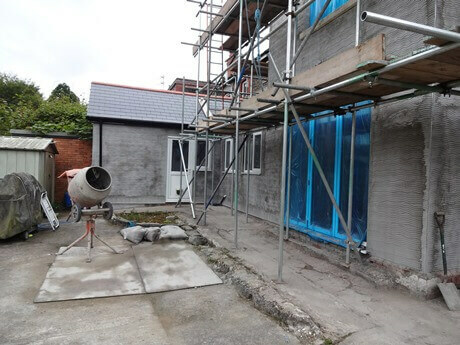 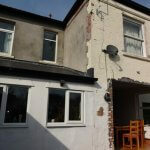 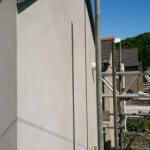 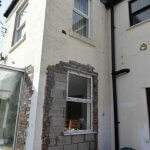 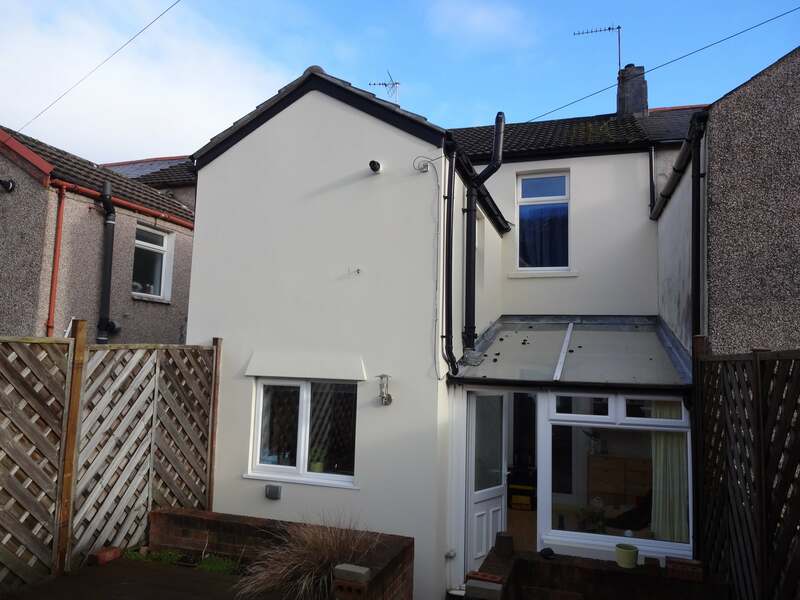 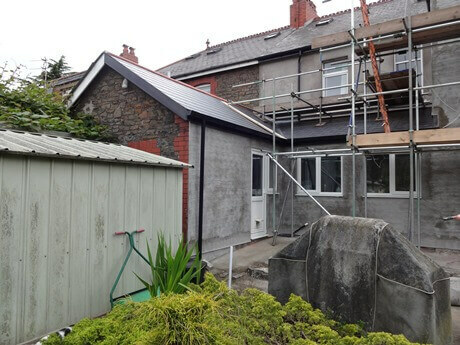 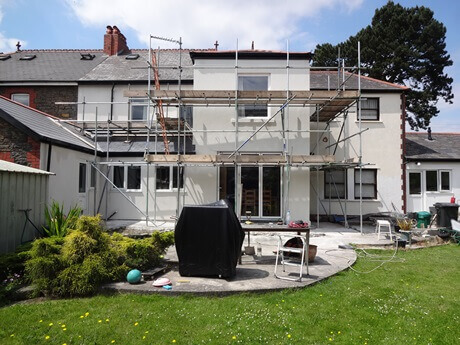 The most common external finishes are as follows: Tyrolean: This form of render provides a protective and decorative layer as it is a coloured or white cement based mix. 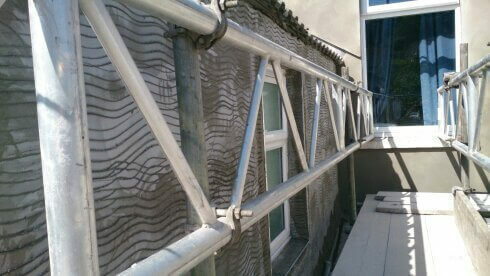 It can be applied by hand or most commonly by a power operated machine. 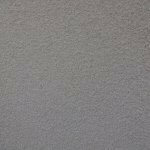 It is popular because it gives a honeycomb textured finish and it can be repeatedly done until the preferred texture is achieved on the external wall. 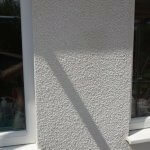 Pebble Dash: A popular choice whereby smooth or angular stones are thrown or “dashed” onto the topcoat of render whilst it is still wet, allowing the pebbles to stick. 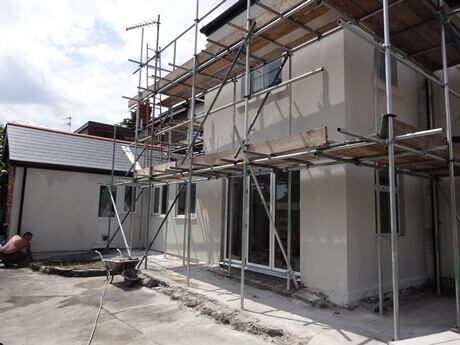 There are many different colour mixes to the stone and different colour dyes that you can add to the render to suit the stone, we can provide colour charts on request. 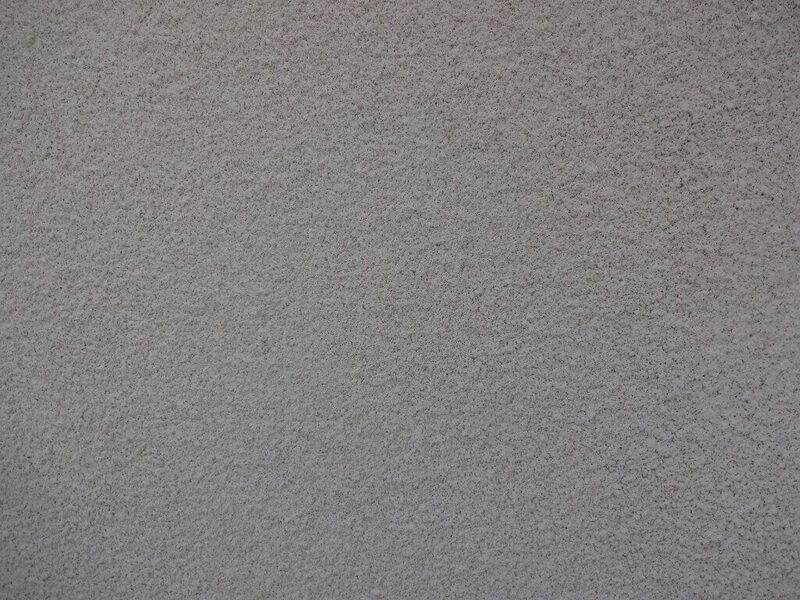 It provides a weathering surface. 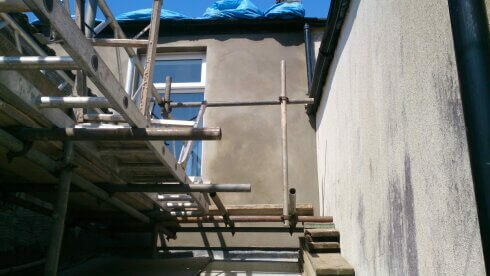 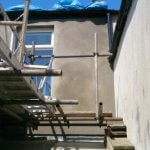 Fine Down: Fine Down allows you to have a smooth finish and is used extensively on external walls. 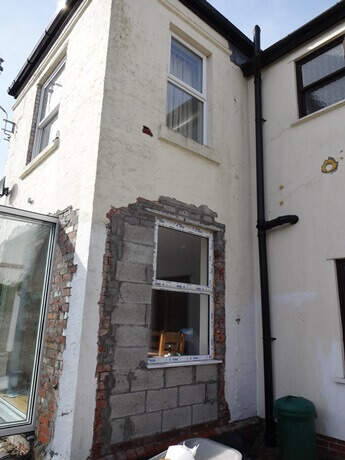 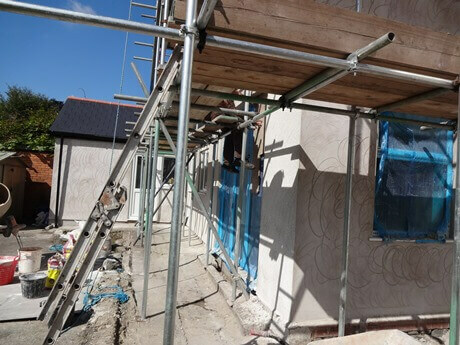 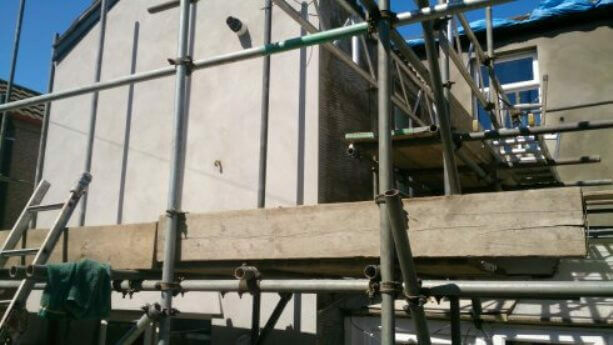 KW Plastering has worked extensively on all forms of external rendering, building up a large portfolio of work in the process. 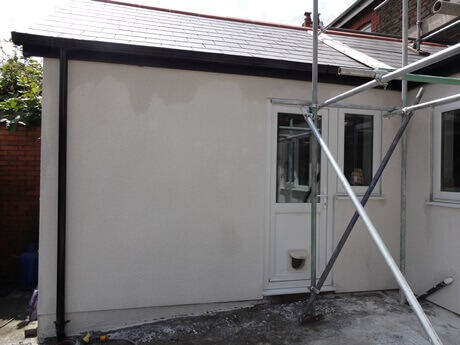 External walls are the first thing that people see when they arrive at your property so you want the job carried out by professionals. 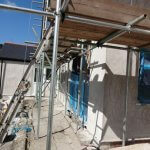 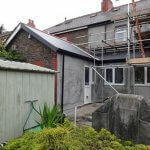 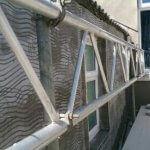 We are proud to be members of The Guild of Master Craftsmen so when you employ us to carry out rendering work on your property you know that you are getting the job done by the experts. 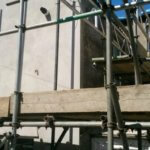 We take care of everything, scaffold, skip, rubble removal, we organise it all making for a stress free job. 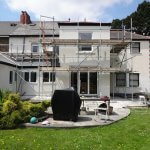 Proficient staff are experts in they field and are always happy to answer any queries. 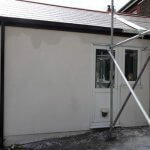 We also offer a painting service for exterior walls, so once rendered it saves you from getting a different company to paint. 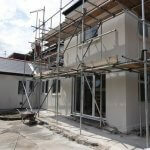 All staff are friendly, trustworthy and conscientious. 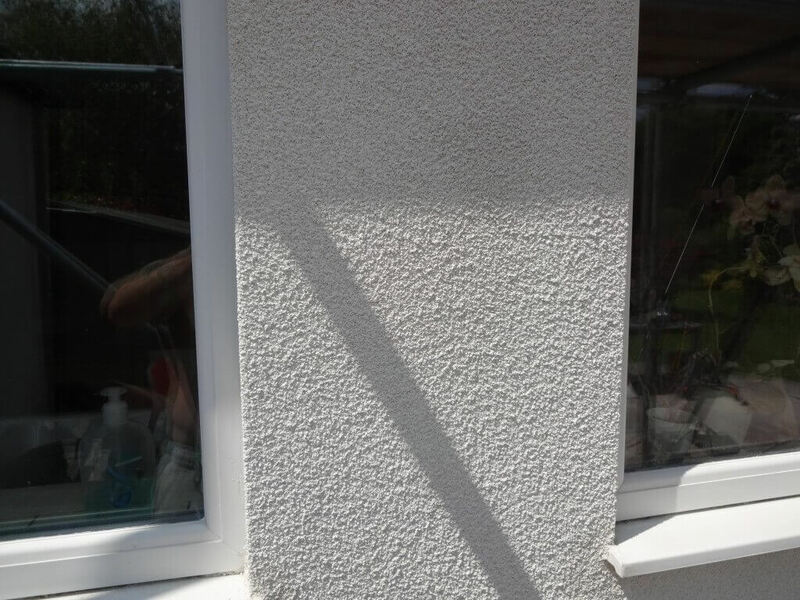 Copyright © 2018 KW Plastering.